Little Rock I’m sorry. Here we go again spinning like a broken record on the amazing and devastating ineptness of the US government and its various agencies and branches to seriously solve the problem of bank intransience and offer real relief to borrowers needing loan modifications to escape foreclosure and right size their loans. The government announced another multi-billion dollar settlement for fraud in packaging mortgages. This time it was Citi agreeing to pay $7 billion with $4 billion going to the government in fines and whatever and $3 billion going supposedly to help homeowners with principal reductions or refinancing. Of course that means $3 billion they get to essentially backwash and return to their own accounts. Using a fraud settlement for a modification means that if they reduce principal by $100000 for a homeowner in Phoenix, they count that $100000 on the ledger allowed by the fine print on this big settlement. If the average modification or adjustment per homeowner averaged $100,000, then on the high side this might help 30,000 borrowers of the millions caught in the mess. Experience says it will be a whole lot fewer, since that has been the case with everything announced over the last 5 years that was supposedly going to impact millions of homeowners. We also have a pattern established on these settlements now. Outfits like Bank of America, whose time is still coming, may pay their Wall Street lawyers millions to delay, shuffle, and stall on future settlements but pretty much any of us now could pull up a chart on what percentage of the mortgage business and bundling a bank had in 2007, and calculate the amount they are going to have to pay to make this go away in 2014. B of A will pay a truckload because of its own activity and its Countrywide purchase, but the number of people helped will also be a small piece of the load. And, at the same time that we could read the report on the Citi settlement, we were also able to read about another government agency that promised much in terms of homeowner relief and delivered almost nothing. 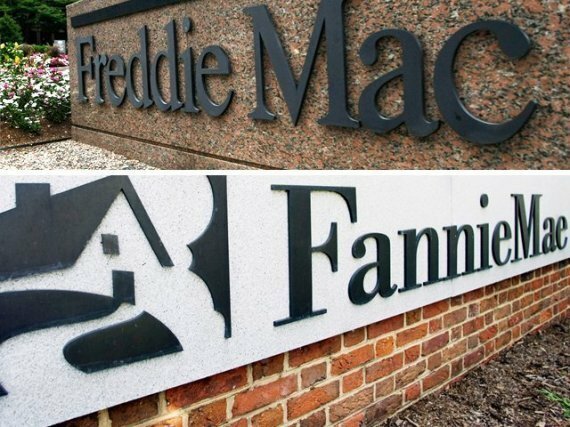 This time it’s the FHA or Federal Housing Administration and their highly touted program to help homeowners that were underwater, owing more than the value of their homes. Yes, four years of trying and less than 5000 borrowers helped. What’s the math there? Something like 1 out of 1000 projected to be assisted actually benefited. Well, the right hand of the government didn’t care what the left hand might have been trying to do to help homeowners. But, what goes around comes around. I’m not just saying this was the feds dropping the ball. They also made participation by our friends, the bankers and lenders, voluntary, which means they didn’t have to do anything, and there’s little doubt that in fact they did anything then, nor are the planning – or being forced by these settlements – to do much of anything still.